Hva er fengselsarkitektur og hvordan kan den studeres? Hvordan blir begreper som humanisme, verdighet og solidaritet oversatt til fengselsarkitektur? Hva betyr bevegelser i fengselslandskap? Dette er sentrale spørsmål i tekstene som presenteres i denne antologien. Boken er et resultat av samarbeid mellom arkitekter og forskere i Italia, Norge og Sverige. Den tilbyr nye tilnærminger til studier av fengselsarkitektur og pønologisk forskning gjennom sitt fokus på fengselsdesign, fengselsartefakter, fengselshverdagsliv og innesperrede kropper. Boken vil være nyttig for studenter, forskere, arkitekter og politikere. Elisabeth Fransson er sosiolog og førsteamanuensis ved Kriminalomsorgens høgskole og utdanningssenter KRUS. Francesca Giofrè er arkitekt og førsteamanuensis ved Department Pianificazione, Design, tecnologia dell'Architettura, Sapienza Università di Roma. Berit Johnsen er førsteamanuensis og forskningssjef ved Kriminalomsorgens høgskole og utdanningssenter KRUS. 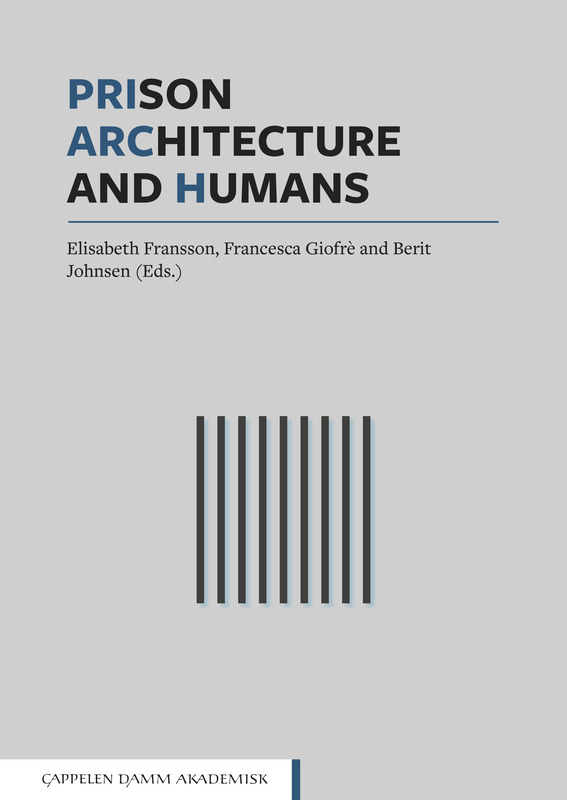 Francesca Giofrè, Architect, PhD, Associate Professor of the Technology of Architecture at the Faculty of Architecture, Department of Planning, Design, Technology of Architecture, Sapienza University of Rome. Her research areas are: innovation in the design and building process, design for all and, recently, healthy cities. She has made many feasibility design studies in the field of architecture for health, and she has published various papers, articles and books with national and international publishers. Gudrun Brottveit is a criminologist and Associate Professor in Psychosocial Work and Welfare Studies at the University College of Østfold. Her research interests are related to critical criminology, the materiality of punishment, professional practices focusing on interpersonal meetings, subject ontology and body phenomenology. Brottveit has been responsible for various qualitative research projects and has participated in several national and international multidisciplinary research collaborations. Stefano Catucci is Associate Professor at Sapienza University of Rome. He teaches aesthetics at the University of Rome “Sapienza”. He has published writings on early twentieth century German and French philosophy and is the author of an Introduction to Foucault reprinted several times (ed. Laterza). He has created and organized meetings on “Philosophy and Music” at the Biennale Musica in Venice (2006 and 2007) and the “States-General of Arts” in Florence (2011). mainly in relation to public services. Franz James is a Ph.D. student and Associate Professor in Furniture Design at HDK - Academy of Design and Craft, University of Gothenburg. His work is in the field of design of the physical environment in prisons and psychiatric hospitals.